The ROG Strix X370-F Gaming motherboard from ASUS offer everything you would expect from a high-end motherboard expect for the high-end price! 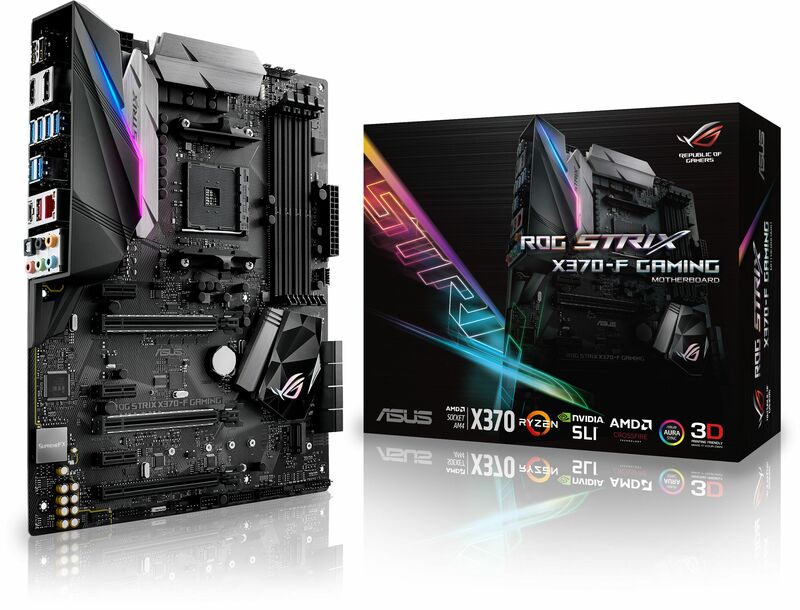 The ASUS ROG Strix X370-F Gaming motherboard continue the proud legacy of the Pro Gaming series with acclaimed ROG innovations. ROG Strix X370-F Gaming motherboards combine bold aesthetics with premier performance and incredible audio to deliver unrivalled gaming experiences and style. Support for the latest AMD processors and technologies, plus exclusive ROG innovations, take performance to the next level to give you the edge against opponents. ROG Strix X370-F Gaming charges every movement of every game with thrilling energy and equips you with epic speed and agility. Join the Republic with ROG Strix X370-F Gaming and dominate! 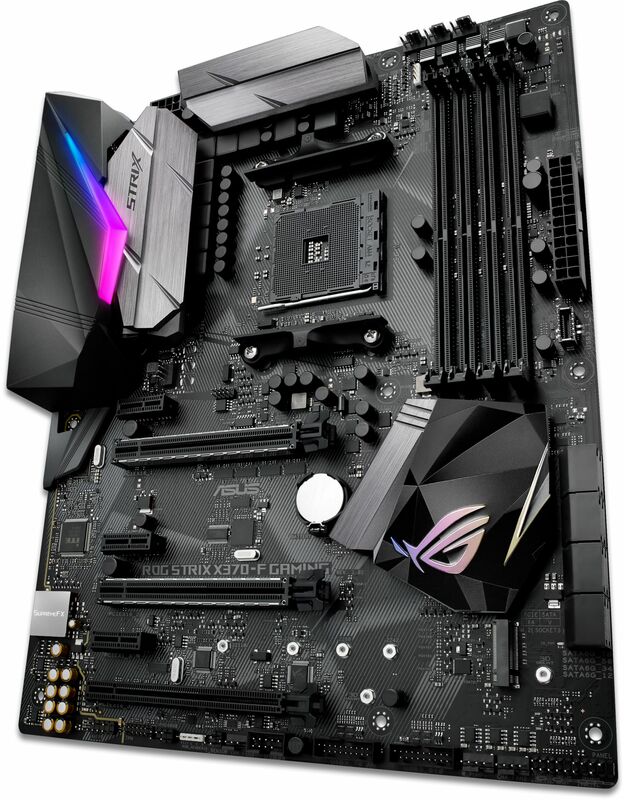 This motherboard supports AMD Ryzen processors, 7th Generation A-series accelerated processing units (APUs) and Athlon CPUs. The high-performance Ryzen processor supports up to eight cores and is based on the innovative Zen core architecture. The 7th Generation A-series APUs feature integrated AMD Radeon R-series graphics. AMD AM4-socket processors feature dual-channel DDR4 memory, native 5Gbps USB 3.0 and 16 PCI Express 3.0/2.0 lanes for superb performance. The AMD X370 chipset delivers outstanding overclocking capabilities for the latest AMD AM4-socket Ryzen processors, 7th Generation A-series APUs and Athlon CPU's. It is optimised for multiple GPU configurations including NVIDIA SLI and AMD CrossFireX. It also provides two 10Gbps USB 3.1 ports and eight 6Gbps SATA ports for faster data retrieval. A dedicated base-clock generator designed for AM4 processors allows overclocked base clock frequencies up to or beyond 158MHz. This custom solution works in tandem with the ASUS TurboV Processing Unit (TPU) to enhance voltage and base-clock overclocking control — providing an exciting new way to boost performance to extreme heights.